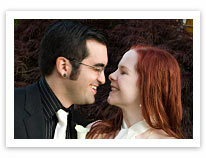 Get to know your photographer and read testimonials from NJ Brides and Grooms. Being artistically inclined, the medium of photography has always been a fascination for me. 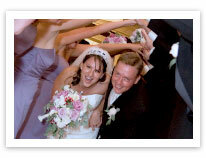 That fascination turned into passion when, several years ago, I began work as a wedding photographer’s assistant. What could be more fulfilling than to be able to capture romance of the most important day of a couple’s life together, and to be the person to preserve that most precious moment photographically? I'm 34 years old, I set a high standard for myself. 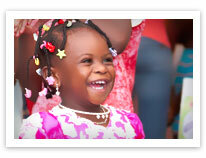 My eagerness for perfection over the last 10 years of photography is for your benefit and to your advantage. It is important, as a photographer, to pay attention to details and quickly capture those subtle gestures, expressions and moods that will make a timeless image. Each photograph should tell a story. Working as a photojournalist for a newspaper taught me just how important it was that my photographs tell a story. After all, a single picture can speak a thousand words. 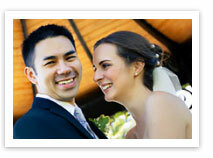 Having a photographer constantly in your face could be a jarring disruption to the solemnity of your wedding ceremony. I try to be as unobtrusive as possible. And I don't require the couple to spend too much time posing for the camera. 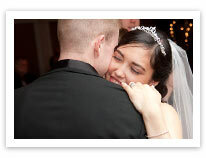 Rest assured that as special moments transpire during your wedding day, I always make it my mission to capture them. After the wedding, I immediately begin work on your photos. It is important to do this while the event and sequence are still fresh in my mind. In addition to a delivery method of your choice, all of your photographs will be displayed in an online album that I will create for you. The fully processed photos are guaranteed to be available in 4 weeks, but are often available even sooner. Lastly, because every wedding is special, I am careful not to overbook (20 weddings a year limit) so as not to compromise the quality of work that any customer receives. Words cannot express the appreciation we feel for Justin. From the moment we met Justin we knew he was going to be our photographer for our wedding. What we didn't know was that Justin would become our photographer for life! His artistic eye is what caught our attention first, but his kindness and patience is what solidified our decision. Justin made our wedding memories come to life and for that we are forever grateful. Justin became family on our wedding day! He was so nonintrusive, we barely realized he was taking pictures. As a modern bride, of course I used Pinterest for photo ideas. I'm sure this can get a little annoying for photographers, but Justin took those ideas and ran with them. I can honestly say that our photos are more spectacular than any I found on Pinterest. Through photography he told our fairytale. He also didn't stop at anything to make our dream shots a reality. For example we wanted to use sparklers to create an image, he singlehandedly made this happen by running around us at least 10 times on an uncomfortably hot August day just to get the perfect image. No amount of words can express what we feel for Justin and the work he did for our wedding. 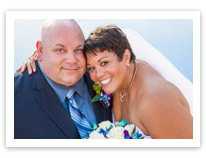 We wholeheartedly recommend Justin if you want the best wedding photographer out there! Justin, Thank You, Thank You, Thank You! 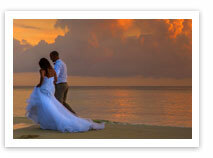 We had a destination wedding in Negril, Jamaica. It is known to have the best sunset in all of the Caribbean. Aside from that fact we had 41 of our friends and family flying in for a week in paradise we needed a photographer that could not only capture this once in a lifetime occasion but had reasonable rates since we had to fly him in and have him stay with us for a few days at a 5 star hotel. We searched for a wedding photographer that not only could deliver exceptional photos but also could "hang" with our group for a couple of days. Everyone else wanted to charge us an exorbitant amount as well as demanded that 2 assistants tag along which was out of the question for our budget! Thank God We found Justin through a cousin and immediately signed the contract with him. He was very approachable and open to anything we requested and very pleasant to work with. He not only shot amazing photos of our wedding but also took pictures the days before and after!! He became like family to us and he has the same birthday as my husband which was the day after the wedding!!! on the wedding day itself..he was everywhere at once. Unobtrusive and very accurate with his shots!! he works by himself but you would have thought he had an entire entourage of photographers with him!!! he has the talent and the personality of the perfect photographer!! he captured every moment that way we would have hoped!! let me tell you the amount we paid for him we got 100x more for quality and dedication!!! we would recommend him to every friend or family that wants the most bang for their buck on their wedding day!!! 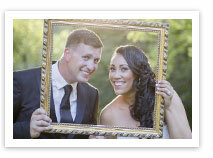 there is not a day that we don't oooh and aahh from the pictures that we have framed from our wedding day!!! they are truly amazing !! thank you JUSTIN!!!!!!! Justin Tinapay is an amazing artist ! I found him on the internet while researching photographers for my wedding ! What struck me, with Justin 's work was the fun the bridal parties were having in the photo surrounded by gorgeous silhouettes , that only a trained eye can see. He so much to work with and is open to ideas , so it helps to make your day even more special ! I also found his prices reasonable for what I wanted ! I will always recommend Justin Tinapay for any event , his professionalism and artistry is hard to find! I will speak in behalf of the guest and visitors, family and friends who witnessed our wedding. Nothing but all the positive words to describe how professional you were on our wedding day. Guests and family members approached me many times to let me know how patient you were in taking photos to make our special day a memorable one. We will definitely treasure all the photos that were taken with so much passion and love. Good luck with all your endeavors. God bless and more power! Thank you so much for the amazing photos! We are so pleased with how you captured all the memories and moments for our big day. Thank you too for being so sweet, patient, and professional - it was so important to us that we could relax and have fun that day and you really captured us just being us! We truly appreciate it! I think we all fell a little bit in love with Justin! Planning our event long distance necessitated heavy use of the Internet and the hopes that we made the right choices in vendors. We met Justin for the first time the very day of the Marriage Celebration on 5/5/12. Within just a few minutes, he grasped our family dynamic as well as our vision for this event, and he ran with it! We knew our pictures were going to be fierce, and they are, exceeding all of our expectations. Justin was excited about our ideas, and his creativity while he worked was evident. We highly recommend Justin who will capture and enhance your vision in ways you haven't even thought of yet, whether your event is traditional, creative diy or totally offbeat! Thank you so much for all of your hard work on our wedding. We love all of our pictures and we have had so many compliments on our pictures. Furthermore, friends have said they were very impressed with our photographer and we were, too! 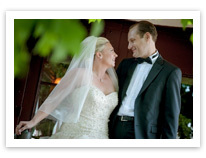 We are so happy that we have so many photographic memories from our wedding. It was great working with you! Thank you for taking such beautiful pictures the day of our wedding. You did a fantastic job. You are also excellent to work with and a very kind person. we wish you much luck in the future and will recommend you to any one we know! The first thing Nathan and I did when we returned from our honeymoon was look at our pictures. We are both so thrilled with the outcome! Our moments were beautifully captured and we couldn't be happier. I remember choosing you as our photographer because of your artistic style. Your pictures document a story from a creative perspective, rather than the often mundane pictures you see from other wedding photographers. I truly feel that our pictures are works of art and as an artist myself, I have a fairly critical eye. Thank you so much for being professional, unobtrusive and mostly for recording our special day. Our photographs will be treasured for years to come. Ceremony and reception in Valley Green Inn Wissahickon Creek in Philadelphia, PA.
P.S. There are no pictures that we would like removed from our site. His grandma can deal with the racy leg ones. Justin had a lot of amazing photo ideas and is really great to work with. We had a lot of fun taking engagement and wedding pictures and will always treasure the pictures he took for us. We didn't ask for extra editing, but he made sure all our pictures look great and picked a variety of pictures to add awesome artistic flair. Justin blended into our wedding event and was extremely friendly. He made everybody feel comfortable and was able to get a variety of photos with minimal fuss. We really didn't have a strong focus on what kind of pictures we wanted to take, but Justin knew exactly what would work and quickly captured the moments for us to remember forever. Justin is full of ideas and has lots of energy, we felt very lucky to have him as our photographer! Justin is an amazing photographer! He was able to capture the beauty of our special day perfectly! He has a great eye for what pictures to take and an amazing attention to detail! When I saw the pictures he took, I was amazed at how beautiful everything looked! He is professional, calm and knows how to take charge of the situation. All of our guests absolutly love the on-line gallery that he put together. He did an amazing job and we strongly recommend him to anyone looking for a photographer. I have to explain something to you before you read my review of Justin and his photo work for my wedding: I did NOT want a professional photographer. My then fiance, Nick, had to have multiple long discussions (ok, fights, I admit it, I'm a stubborn girl) before I gave the go-ahead (yes, he still married me even though I was being so crazy). Ok, so if you're like most brides, you probably won't immediately understand my concern; a wedding is a very special moment that you're going to put a lot of work into and will want to cherish forever. And yes I felt that too. But I was worried about having to pose for pictures all the time and not getting to actually enjoy my wedding. I'm also a very economical person. I'm not the type of person to take out a loan to afford a designer dress, for example. So a lot of my wedding was DIY (my sister made my cake and my family and I made all the invites, ceremony brochures, seating cards and table decorations) and I figured it was a waste of money to hire a professional photographer when everyone nowadays has a camera phone and we could even leave disposable cameras on the tables to cohearce guests into taking memorable shots. However, Nick's valid point was that a lot of regular people take crappy pictures or are too involved with enjoying the wedding themselves (like I wanted to do) to capture every moment. Really, it wasn't even fair of us to require that of our family and guests when we certainly didn't want to do it. We could still put the disposable cameras on the tables at the reception but they should just be considered be fun additions to our photo collection not the whole of it. So with our decision made to get a photographer, I began worrying about posing all day (I'm sure you can tell that I'm not the fondest of having my photo taken). But honestly, I almost never knew Justin was there! When he arrived, I introduced him to everyone and showed him around the house I was getting ready in, and away he went. When he did come in to take some pictures of me getting ready with the girls, I was in a great mood and he wasn't overbearing with direction so it was actually a lot of fun! Later on, our familes commented to me about how Justin was "such a polite young man." Always a plus. After the ceremony, we did have to do our group shots, but I was prepared for those. You could tell Justin had a lot of practice in reeling and sorting everyone in for each specific picture (the bride's family, the groom's family, everyone together, etc) and taking the photos as quickly as possible so no one got distracted or left early, etc. We had a lot of older relatives there so that was a feat in and of itself! The reception was a continuation on how happy we were with Justin. He made sure to take photos of every table, lots of me and nick and our friends, and again, we were so caught up in dinner and dancing that we barely noticed him. When we finally got all the photos to review, we were totally and completely amazed. They were the most beautiful photos with lots of really fun candids, which is what we wanted. Our families were also super pleased and have since asked for Justin's info so they could recommend him to others. I am so glad my husband talked me into hiring Justin (although now I'll never hear the end of it... since he was right, haha. :) But really, Justin is the best, he takes his job seriously, totally knows what he's doing, he's a complete professional and also, surprisingly, a lot of fun. If Justin has your wedding date free, book him fast! Rob and I truly want to thank you for capturing our wedding day exactly how we wanted you to. We knew that your creativity and thoughtfulness would come through every picture that was taken and every smile on our faces was of a natural one. Despite the weather the photos came through absolutely beautiful. The next day we heard nothing but compliments and praises on how well our photographer was. They all said “He was there one minute and gone the next, it’s like you never saw him”. When the pictures came through and everyone looked at them they were amazed at how many candid shots were taken and they didn’t even know it. We could not have asked for better pictures to choose from for our album. We would recommend Justin in a heartbeat to anyone looking for an extremely talented, thoughtful and creative photographer. Thank you again. 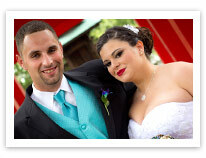 A wedding in Bridgewater Manor - Bridgewater NJ. Justin is an incredible photographer as well as an extremely nice person. On the day of our wedding, there were a few bumps and things that didn't go exactly according to plan. Justin was able to keep things running smoothly even with all of our mishaps and take some amazing pictures at the same time. Our guests love being able to view the photos online and can't believe that just one person took all of the beautiful shots he got that day. When he's working you hardly even notice that he's there, but once you see the pictures it's clear that he was there for every important minute. We will highly recommend Justin to anyone who needs a photographer and we hope to have the opportunity to work with him again in the future. A wedding in Mayfarms located at West Orange NJ. My husband and I were in awe the first time we saw the pictures Justin had taken of our wedding. Throughout the day, I was impressed with Justin's professional, yet relaxed attitude. If you watch him, you can see the creativity in his eyes as he dreams up the perfect poses, angles and backdrops. When we look at our wedding pictures, we feel the emotions of the day all over again. My father cries even thinking about them! If we were planning our wedding all over again, we would hire Justin in a heartbeat. In fact, we might have hired him for the shower, bachelorette party, rehearsal dinner and honeymoon as well! Deanna and I are so grateful for the incredible photos of our wedding. We appreciate the fact that you were able to capture both the formal and candid moments of our special day. Family members and friends all commented how extemely professional you were in your approach. They were impressed with your ability to manuever in and out of the crowd, setting up shots in a non-intrusive manner. We also loved the fact that you took initiative when you saw the "perfect shot", giving us the freedom to enjoy our day. We will certainly recommend you highly. PS- Love viewing our photos on-line too!! 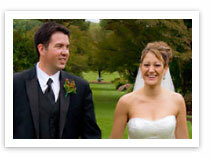 Justin is one of the most professional and dependable people we worked with during the whole wedding planning process. He made sure to talk to us beforehand to get an idea of what we were looking for. Hiring Justin is also like hiring several photographers at once. He managed to get every important shot which seemed physically impossible at the time. Justin is also the most considerate photographer I have ever seen. He doesn't boss you around like some photographers we've encountered. That's not to say he just hides in the corner and doesn't offer anything. He will take control when he needs to, but it is always in a professional, comfortable manner. Oh, and that's not even getting to the quality of his actual photos. They exceeded our expectations (which were quite high). He has a true knack for catching the perfect moments that helped make our wedding so special. Justin did the photography for our wedding and, despite the weather, he did a great job! He arrived in plenty of time to get set up and meet us. He kept the atmosphere light and got all the pictures we asked for. He was very creative with the shots and we could not be happier! He also took table shots, which for me (the bride) was really important. We really enjoyed working with Justin and would recommend him. The picture quality is excellent, definitely beyond our expectations (which is saying something since we both have degrees in Film and Photography). He was able to capture our day and all the precious moments it contained. Thanks Justin! 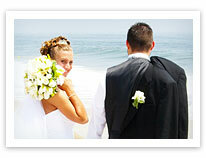 Wedding at the Ocean Place Beach Resort & Spa in Long Branch, New Jersey. JUSTIN!!!! OH MY GOSH! Your photos are FANTASTIC! Felix and I always hate having our photos taken but somehow (despite our uncooperative nature) you have managed to completely capture the fun and love that surrounded us throughout the day. I can't thank you enough. Years from now when Felix is wiping drool from my chin, we will always have these photos to look back on and remember what a wonderful time we had! Thanks so much! I didn't have a lot of time to plan our civil wedding, and many things had to be decided quickly. The decision to have you as our photographer on our day was one of our best choices. You conducted yourself in a friendly, discreet, and professional manner during the wedding and our meetings regarding the photographs. Everyone who was at the wedding commented about how beautiful the pictures came out. 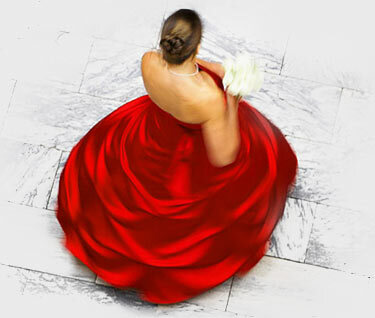 We all share the opinion, that you captured the true feeling of the ceremony, and the joy at the party. Our friends and relatives who couldn't be present congratulated us for having such a nice wedding, thanks to your pictures. Some of them felt like they were there with us, dancing or enjoying the food documented in your photographs. Needless to say, that we are very satisfied for your services, and that we will recommend you to anyone in need of an excellent photographer. Wedding at the Victorian Manor in Edison, NewJersey. 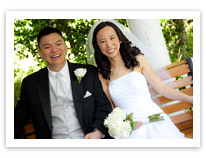 We contracted Justin Tinapay for our Beach Wedding on July 2, 2005 and we could not be more pleased with the professional quality of the overall service and most importantly the final results of the wedding photos. Justin fulfilled all our photography expectations and needs on our very special day and we would highly recommend his services to others. We consider ourselves lucky to be able to find such quality for extremely reasonable rates. P.S. We also utilized Justin Tinapay's services for our engagement photos and we are happy to add that the photos came out fantastic and the framed photos currently hang proudly in our house as well as our families'." Thank you for taking beyond EXCEELLENT photos at my Welcoming Baby Shower. My family and friends were very impressed with your work. You perfectly captured every aspect of the shower from pictures of the food, gifts, party favors and dinnerware to people mingling at the tables. I really loved the pictures taken of me with my baby and hubby! They were our first professional family photos. I will be sure to keep in touch with you for future engagements. Peter and I want to extend a heartfelt thank you for your wonderful photography services. 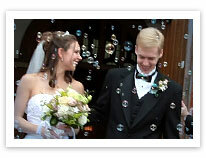 We were pleased with your photos that captured the essence of our wedding day. We enjoyed working with you and hope that in the future you will be able to photograph other important events in our lives. I highly recommend Justin if you are looking for a photographer that will produce excellent pictures and you wish you can enlarge all of them as they are perfect. In addition to being understanding and willing to work with me all the way until I receive my pictures as ordered Justin was very helpful and went above his duty (as a professional photographer) to my make daughter's Bday party a success. Although discreet, I also appreciated his friendly attitude when he noticed I was getting a little bit stressed during the party. Thanks again Justin and looking forward to working with you for my daughter's next Bday party and for that matter any other events I may have. Photojournalistic Wedding Photographer in the NJ area for Events, Sweet 16s, Bat/Bar Mitzvah, Corporate, Portrait & Engagements. 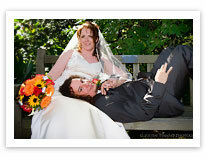 Professional, Affordable, High Quality, Contemporary, Artistic & Timeless Wedding Photographs. Located in Bergen County NJ.